Ann both defends and prosecutes (Grade 4) in all areas of criminal law and has substantial experience in heavy fraud cases. She is a fearless advocate and is known for her attention to detail. Described in a multi-handed fraud trial at the Old Bailey as “on fire” when she cross- examined the 4 defendants, she is a force to be reckoned with. Her intellectual ability and tenacity were rewarded by her recent success in the Supreme Court on a point of money laundering law R v GH (2015) UKSC 24. Read our news post here. R v R and others – Defending in a 7 handed modern slavery case at Teesside CC throughout January February and March 2018. The 2 main defendants have pleaded guilty. Three conspiracies alleged against the defendant namely human trafficking, forced labour and money laundering. The case involves numerous vulnerable complainants with evidence being given through multiple interpreters. R v D and others – Defending in a 7 handed diamond fraud fixed in April 2018 at Basildon CC. Unsuspecting victims were defrauded of a total of £438k. Staff at a bogus company were making unsolicited telephone calls ‘cold calling’ victims and offering coloured diamonds as investment opportunities. R v Mc C and others –Defended in a massive drugs case (cocaine and heroin) in a 4 week trial at Kingston CC. The overall conspiracy itself may well have been one of the largest conspiracies ever to have been successfully disrupted. Dutch conspirators were responsible for bringing the drugs into the UK in Dutch ambulances. The value of the drugs was over £400 million with a street value of £1 billion. Mc C was sentenced on the basis of “significant” rather than “leading “role following successful submissions made by Ann. This had the effect of reducing his sentence. Read the news post here. 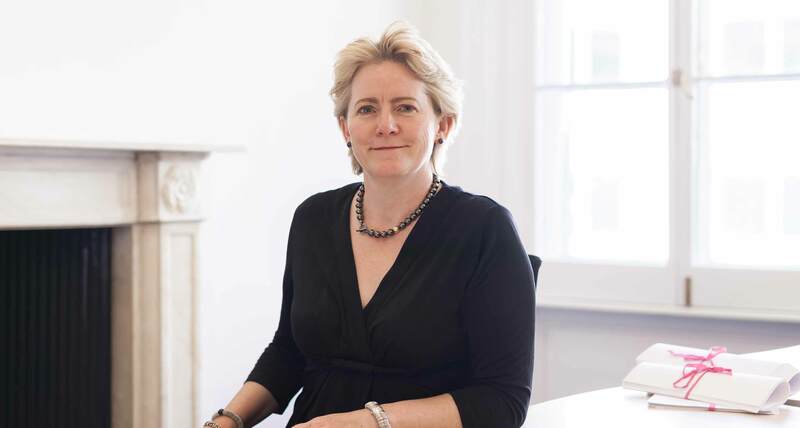 R v S and others – Successfully defended (led Beth Crocker) in a 3 month trial at Southwark Crown Court. The case involved a sophisticated £20 million land fraud prosecuted on behalf of Trading Standards. The defendant was a company director and it was alleged that she was a party to a substantial conspiracy to defraud in which members of the public were persuaded to buy worthless plots on the understanding that they represented a good investment. S was alleged to be one of 3 conspirators who bought the worthless land at 4 different UK sites and divided it into small plots in order to sell it onto members of the public with the promise of huge rates of return. It was alleged that they employed sales brokers in Southern Spain to push their dishonest sales pitches in an attempt to distance themselves from the lies told. The “scam” attracted media attention at the time following a Sky News undercover documentary designed to expose the company’s alleged dishonest practices. The company was raided and closed down by Trading Standards in June 2012. Read the news post here. R v B and others – Successfully prosecuted a substantial multi handed insurance fraud case on behalf of Insurance Fraud Enforcement Department at the Central Criminal Court. B was a sophisticated fraudster who set up a number of Ghost broking websites purporting to provide car insurance at a significant discount below the market rates. In total he received £658,460.84. B had enlisted help from a number of other individuals and there followed a trial of 4 defendants charged with fraud and money laundering offences. At the end of the defence case a submission of no case to answer was made on a technical point of law in relation to money laundering arrangements. Ann immediately appealed the terminating ruling pursuant to section 58 CJA 2003. She was successful in the Court of Appeal against one of the two defendants “G” and the Court ruled in favour of the second defendant “H.” In respect of “H” she persuaded the Court of Appeal to certify a point of law of general public importance. Her argument was successful in the Supreme Court and the judgment law R v GH (2015) UKSC 24 is now frequently cited in money laundering cases. Read the news post here. R v JB and others – Successfully defended in a substantial fraud case prosecuted by Trading Standards. The defendant was employed by a roof coating company as a sales person. She was prosecuted for numerous fraud offences along with the two company directors who both faced a charge of fraudulent trading and fraud offences. Expert evidence was relied upon by the prosecution in relation to the correct approach to measuring roofs. It was a pivotal part of the prosecution case that the defendant had dishonestly and deliberately over measured roofs in order to maximise on her commission. In the event both directors were convicted and received lengthy custodial sentences. However, out of a total of 11 counts the defendant was acquitted by the jury of all bar one and as a result JB received a non – custodial sentence. R v M and others – Successfully defended in a complex high profile £28m “boiler room” fraud prosecuted by the FSA. At the time, the largest ever investigation undertaken by the FSA and a virtually paperless case. An international fraud involving six different jurisdictions, Ann was instructed pre-charge to advise on all aspects of the case. R v R and others – Successfully defended in a duty evasion case involving 16 defendants. The total duty evaded was approximately £2million. A ‘cut throat’ defence required very careful handling. R v A and others – Instructed by the Fraud Prosecution Service as junior counsel to prosecute an alleged conspiracy to defraud involving six defendants. The case has an important foreign dimension involving evidence from France. R v J – Instructed in the High Court to make an application on behalf of the prosecution for the appointment of a Receiver to enforce a confiscation order in the case of R v Jalil (see below). R v N – successful in prosecuting a modern day Fagin who played a vital role in a Bulgarian organised crime pickpocketing network. R v H – Successful in the Court of Appeal in appealing against a 13 year sentence imposed on a 77 year old disabled grandmother convicted of involvement in cocaine smuggling. The Court of Appeal made some helpful comments in relation to the sentencing of elderly defendants. R v H and others – Defended elderly grandmother accused of involvement along with her daughter (who pleaded guilty) in smuggling £1 million worth of cocaine into the UK concealed in her mobility vehicle. She was convicted by the jury and sentenced to 13 years imprisonment. See above re successful appeal against sentence to the Court of Appeal and the link to an article and copy of the judgment. R v Ad, R v C and R v S – (see 3 separate trials below) Ann has recently concluded a series of 3 separate trials at Southwark Crown Court involving a total of 16 defendants prosecuted for their roles in a £20 million fraud on a bank, the use of false instruments and money laundering. Ann was instructed as junior counsel prosecuting this highly complex case, involving electronic presentation of evidence and ‘Live Note’. A vast amount of evidence was condensed into schedule form to assist all parties, for example there was a telephone schedule running to more than 600 pages. R v S and others – The third of three trials referred to above, prosecuting four defendants for defrauding NatWest Bank. R v C and others – The second of three trials referred to above, prosecuting six defendants for defrauding NatWest Bank. R v A & Others – The first of the three trials referred to above, prosecuting six defendants for defrauding NatWest Bank. R v D – Instructed as Leading Junior defending one of ten defendants in a £3 million fraud on the clearing banks. Successfully held out until trial and secured a plea to a substantive alternative, which secured the defendant’s liberty following a plea of guilty. R v B – Instructed to defend in a £2 million breach of trust case, with complex issues arising out of civil proceedings. Dealt with complex restraint order issues and a dismissal application, before having to return the case due a clash of fixtures. R v M – Successfully ran duress as a defence to theft from employer. R v J & Others – Junior prosecuting successfully six defendants in a three month trial for conspiracy to defraud insurance companies to a value of £1 million. Electronic presentation of the evidence was used along with an extremely detailed schedule summarising the evidence in relation to 163 staged accidents. All defendants had the benefit of two counsel. The confiscation proceedings were complex. R v A, D, B, and K – Successfully prosecuted the defendants in consecutive trials for their roles in a fraud on Barclays Bank. Overall value of the fraud in the region of £4 million. R v T – Defending in a conspiracy to defraud finance companies involving three defendants. R v H – Junior defending in a substantial money laundering case involving nine defendants. Complex disclosure issues involved. R v O & Others – Junior prosecuting four defendants for conspiracy to defraud in relation to a $2 million high yield investment scam and a linked false document conspiracy. R v H – Defending in a conspiracy to handle stolen goods of high value involving seven defendants. R v B & Others – Instructed by CPS Casework Directorate as Junior prosecuting 3 defendants on a conspiracy to forge travel documents. R v C & Others – Defended as Leading Junior in duty evasion case involving seven defendants each represented by two counsel. R v T & Others – Instructed by CPS Casework Directorate as Junior prosecuting 3 defendants involved in a sophisticated human smuggling operation at Heathrow. R v P – Junior prosecuting soliciting to murder trial, in which an undercover officer was solicited by a remand prisoner (awaiting trial for fraud – see below) to murder his co-defendant. R v P – Instructed as Junior by CPS Casework Directorate in a $9.8 million international investment fraud. The trial lasted 4 ½ months and involved 7 defendants each represented by two counsel. R v B – Junior defending in what was at that time probably the most serious conspiracy to supply Class A drugs ever tried in the UK.